I know that some songs move people to tears. I’m one of the few I know who cry because of a chord change. When I was little, I had a music box that played the chorus of “Oh, What a Beautiful Morning” from Oklahoma. Seven notes in, when the tune hits that minor note on mor-, I’d get upset. Of course, music box tunes are inherently melancholy because they are always playing against time. From the first chime, the music is constantly slowing down until the works stop spinning and the tune cuts off mid-note, cuing deathlike silence. But this song hit me viscerally. Even though the melodic line quickly resolved with nin’ in the major, and the lyrics are nothing but optimistic, it made me feel sad. The worst of this overwrought sensitivity was inspired by Steely Dan. I grew up in the 1970s, when they were inescapable, and I literally couldn’t stand them. The sinuous, smoke-laden “Josie” made my stomach tighten. Even a brighter song like “Peg” gave me the shivers. Given how sheltered I was at the time, I have to imagine that this wasn’t just some low-grade synethesia, though: it was an allergic reaction to frank, complex “adult” rock after a steady diet of AM radio pap. It wasn’t until college that I could listen to Steely Dan and not only tolerate but enjoy their music. My aural palate had matured, just as I was willing to order broccoli in a restaurant and drink red wine for the taste. It also helped that I discovered they had a sense of humor; “My Old School,” with its passing reference to William & Mary, made me snicker. With Walter Becker’s death on Sept. 3, there have been a lot of tributes from fans who credit him and his partner Donald Fagen for introducing them to the edgy pleasure of jazz. It’s hard to tease out Becker’s specific contributions to their music, since so much was done in collaboration with Fagen and their A-list of studio musicians. I saw Steely Dan twice: in the early 1990s as they toured on the Two Against Nature album, and last year in a double-header with Elvis Costello. Even in his youth, Becker was never attractive (not that Fagen was, either – he reminds me of one of my college professors whose sartorial choice in the 1980s was a pair of brown leather trousers that I could imagine Fagen wearing in some sort of academic cosplay situation). In 2016, when he’d take the mic to talk between songs, Becker rambled on in a confluence of anti-Republican politics and affirmations that he smoked weed. But his musical depth, craft and dexterity were strong throughout his career. 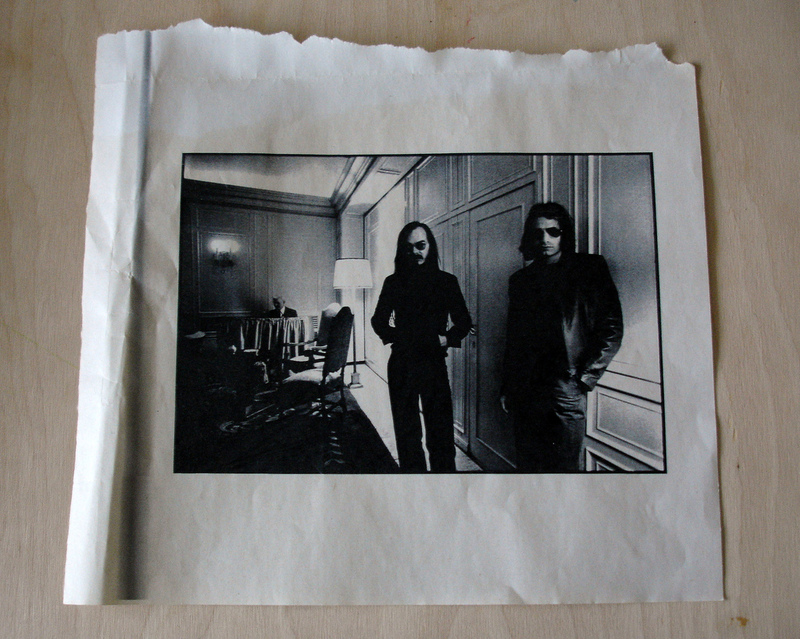 Steely Dan helped me appreciate the beauty of unresolved chords and unexpected melody lines. After all, not all mornings are beautiful, and there’s magic in the melancholy.